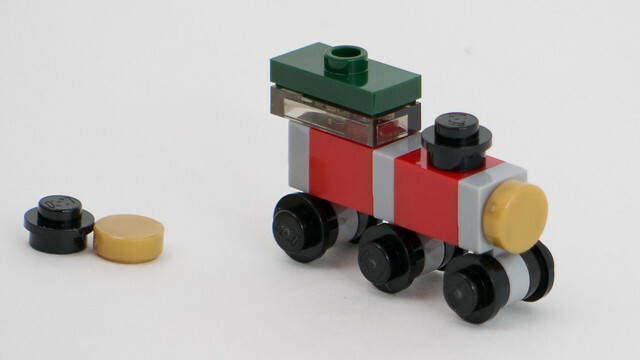 First let’s look at City’s entry, a tiny steam locomotive. 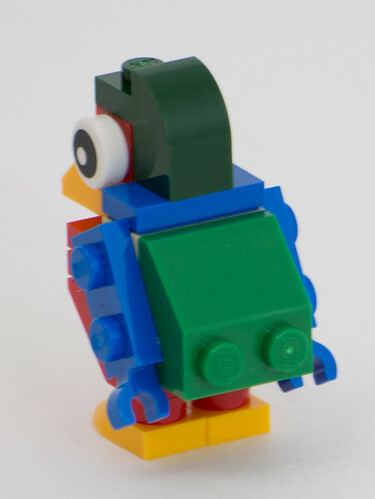 It’s a nice model, though the spacing of the wheels isn’t quite right. But it’s hard to do much better at that scale. 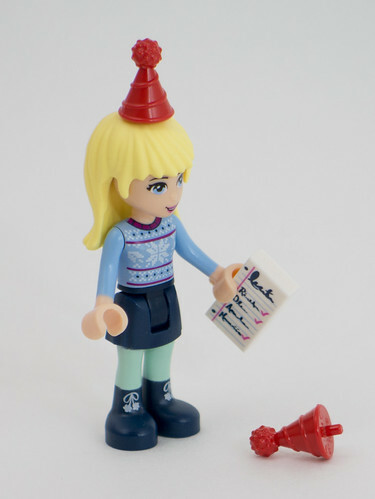 Next comes Friends, and we get a minidoll of a girl with a party hat and a printed 1×2 tile with a list of names on it. 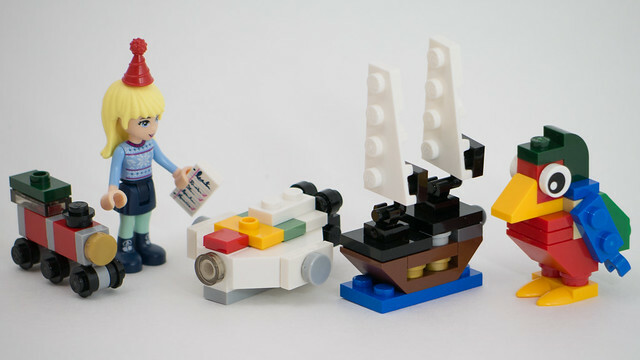 There’s an extra party hat included as well. The third Advent Calendar is Star Wars, and I’m not sure what this is. (If it wasn’t in the original trilogy, I’m kind of useless at Star Wars stuff.) 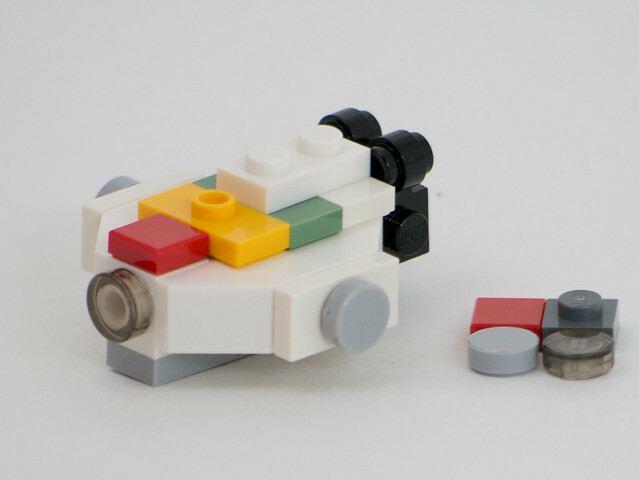 It’s a mostly white space ship, with some red, yellow, and sand-green bits on top. There are several bonus parts included as well. 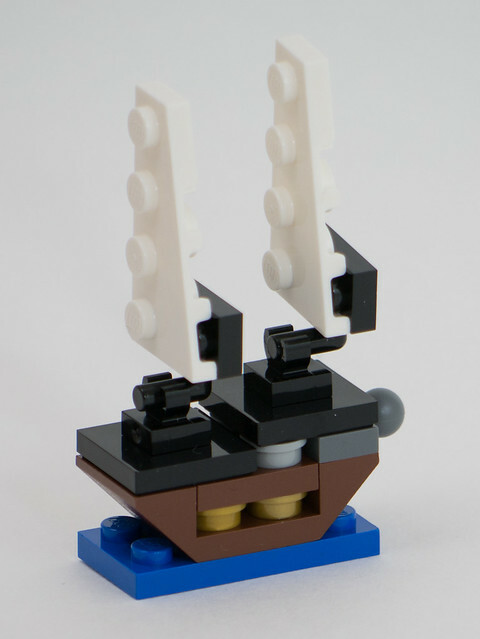 As for the Christmas Build-Up set, today’s model is a small sailing ship. It uses the 2×4 wedge plates for wings, and it uses two of the same orientation rather than one of each – but fear not, the set does contain the other two as well, so we’ll probably see them used in an airplane or something like that later on. 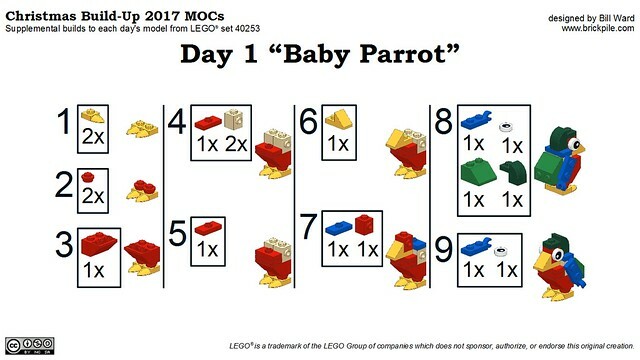 There are tons of leftover parts after building each day’s model in the 24-in-1 set, so there’s no point in showing all the parts, but as I did last year, I’ve also built another original model using some of them – a baby parrot. 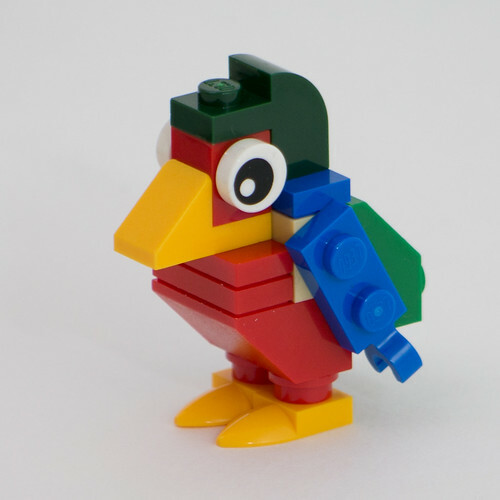 Hope you’ve enjoyed today’s models and if you have the Christmas Build-Up 24-in-1 set too, post a comment to show what you’ve made!